Select indulgences across fashion, timepieces and travel. 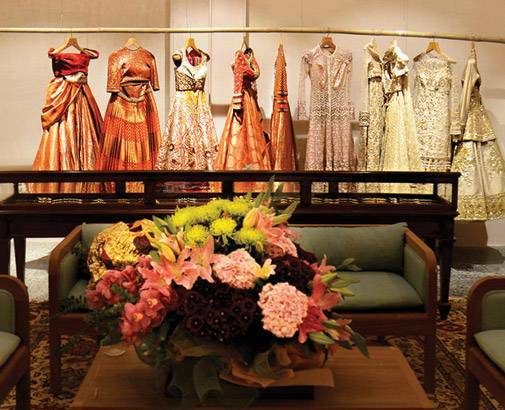 In the early days of fashion when designers were dismissed as darzis, Tina Tahiliani-Parikh's Ensemble was the only store that showcased the best of Indian designers. The year was 1987 when Ensemble launched its flagship store at Lion Gate, Mumbai, with five designers - brother Tarun Tahiliani, the late Rohit Khosla, New York designer Neil Bieff, Jashan (a label by Abu Jani and Sandeep Khosla) and Amaya (a label by Anita Shivdasani and Sunita Kapoor). Last year, the store, part of the Great Western Building, a heritage monument across the Naval Dockyard, was relaunched with a redesign by Bijoy Jain. Ensemble currently has six stores across Delhi and Mumbai and though fashion has evolved considerably from the days of cottage industry couture, it has remained iconic. 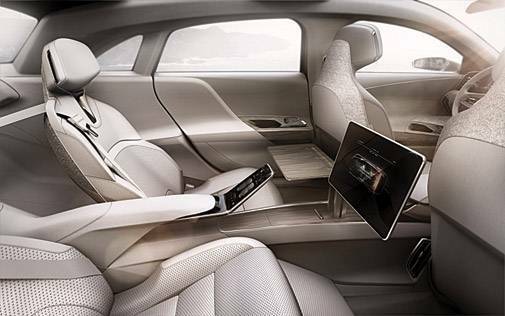 Lucid Motors, an electric-car start-up, is developing a 1,000-horsepower luxury sedan which, it says, could rival the Tesla Model S and flagship offerings from Mercedes-Benz and BMW. The car, Lucid Air, will be produced in Newark, California, in its new headquarters double the size of its current one. The luxury electric car market is getting crowded with biggies Tesla and upstarts like Los Angeles-based Faraday Future all in the game. Brand Jaipur is being reinvented with the Jaipur Kala Kendra at its fulcrum and Brand Jodhpur is not far behind. The JDH Urban Regeneration Project has reimagined the area around the 18th century stepwell Toorji ka Jhalara, with stores, cafes and art galleries, all with a cool vibe. The project is the brainchild of Dhananjaya Singh who runs the city's boutique hotel Raas, ad men V. Sunil and Mohit Dhar Jayal, who are co-founders of Motherland Joint Ventures. The area is slowly becoming a tourist hub, giving the city a new centre of attraction. Many havelis have been transformed into trendy stores - from Nicobar to Forest Essentials, Portside Cafe to PlayClan, and more on the way. On the anvil: the grain market being re-imagined as a food experience centre. Emirates Airlines is wowing passengers flying first class on its aircraft, with a "game-changing" private suite with design features "inspired by the Mercedes-Benz S-Class". 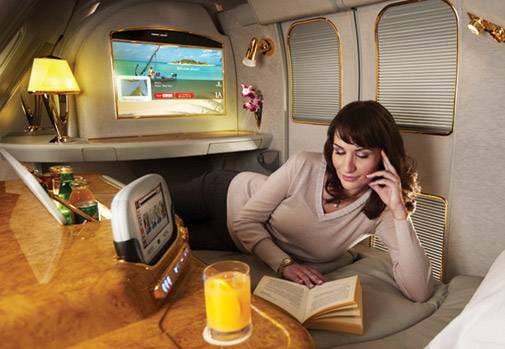 Luxurious fully-enclosed cabins are coming to its new fleet of Boeing 777 jets. Each one offers up to 40 sq ft of personal space and, according to Emirates, the collaboration with Mercedes-Benz "inspired several design details in the private suite including the soft leather seating, high-tech control panels, and mood lighting". While the seat reclines into a fully flat bed using a wireless controller, it can also be placed in a 'zero-gravity' position that's been "inspired by NASA technology, giving a feeling of relaxation and weightlessness". One can request a video-call function, browse through 2,500 channels of on-demand entertainment on a 32-inch HD TV screen, or use the Bowers & Wilkins noise cancelling E1 headphones created exclusively for Emirates. Everyone is promised a window view; even if the suite is down the middle of the plane, a virtual window offers a real-time view of the passing world via external cameras. It's the time for new watch launches as the world waits for the Salon International De La Haute Horlogerie in Geneva in January 2018. 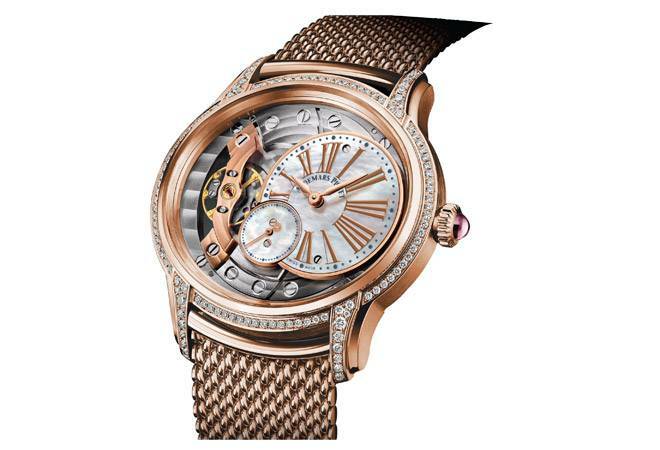 Audemars Piguet is all set to present its new line of Millenary timepieces, first launched in 2015, to suit women's lives, which are anything but linear. In 2018, new 'second-skin type' metal bracelets have been added to the white and pink gold cases. The bracelet's polish finishing completely transforms the watch, giving it a vintage look that matches the oval shape of the case. As a brand, first started in 1875, Audemars Piguet makes every attempt to ensure it updates its history with an always timely splash of innovation.